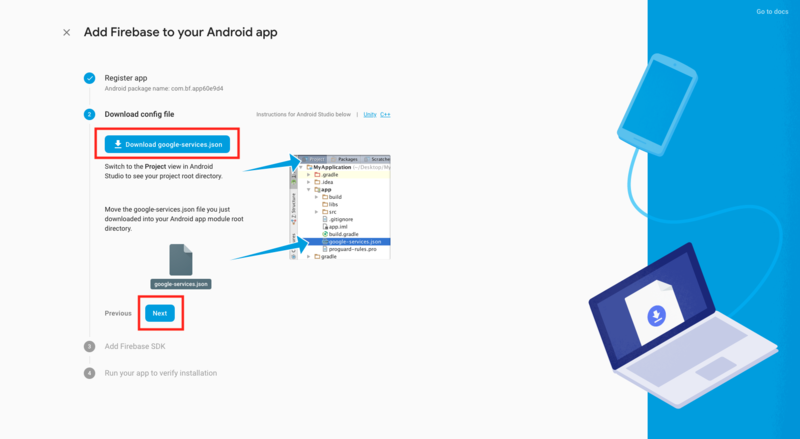 In order to send push notifications to Android devices, you'll need to complete the following steps. What is the Google-service file, Private Certificate/Key and their purpose? 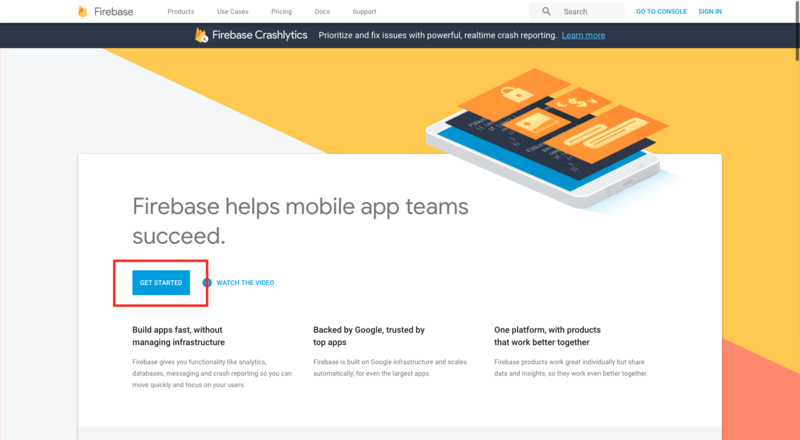 These files are used to enable FCM (Firebase cloud messaging). FCM is a cross-platform messaging solution that lets you reliably deliver messages at no cost. It inherits the reliable and scalable GCM infrastructure, plus Push notification enhancements for Android OS 8+ users! We’ll break these down into two sections, one for each file. First we’ll show you how to create your Google Service File. 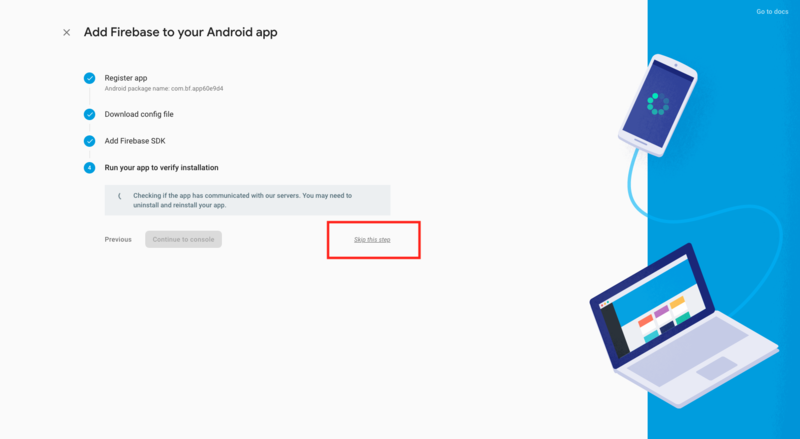 Once you have uploaded both files to your Control Panel, your Android app must be updated to include them. Make sure to let us know that you’ve uploaded these files and we’d be happy to resubmit your app to Google Play. How do I create my Google Service File? Step 1. 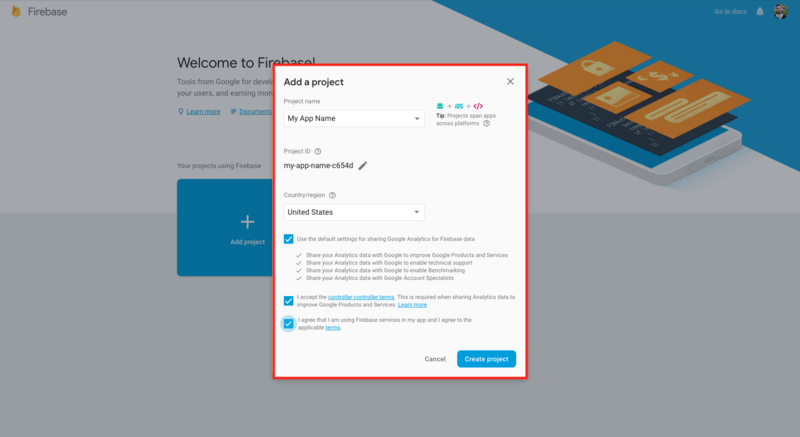 Go to https://firebase.google.com/ and click Get Started. Step 2. 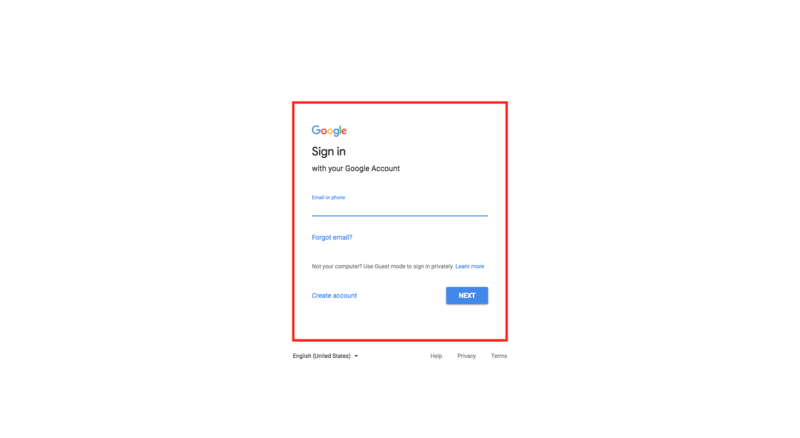 Log into the same account you used to register your Google Developer account. Step 3. Select Add Project. Step 4. Under Project Name, input the name of your Android app, select your country, agree to Google’s terms, then click Create Project. Step 5. From the left-side menu select Project Overview >> Project Settings. Step 6. One you've gone to the Project Settings screen, click on the Android Icon to generate Android Firebase certificates. Step 7. 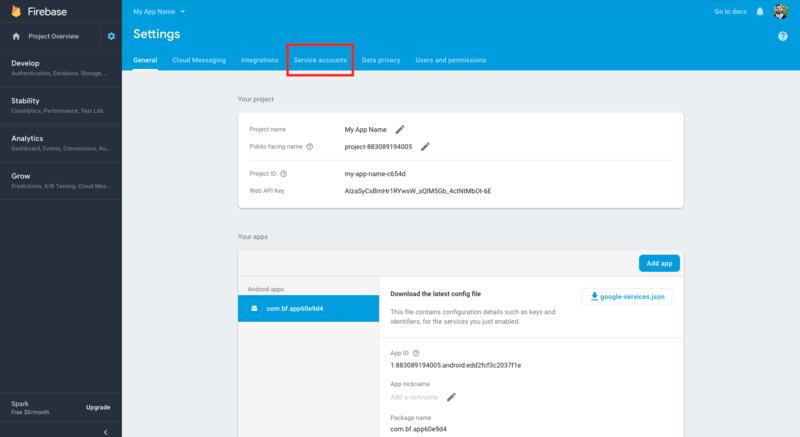 On your app’s Control Panel, go to Notifications >> Settings and copy the App Bundle ID. Step 8. 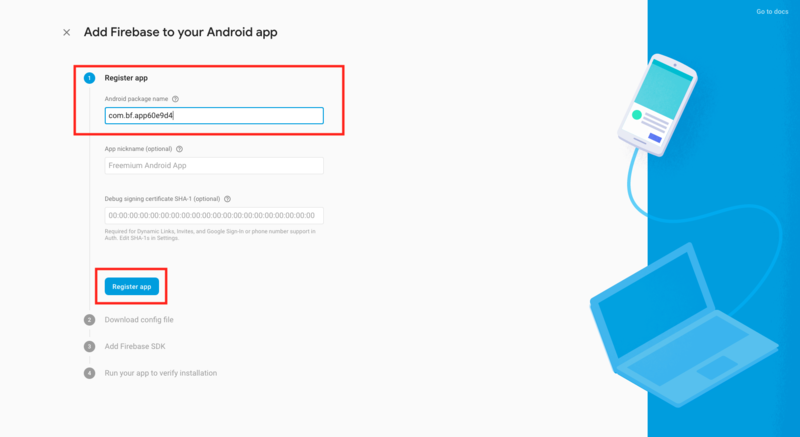 Back on the Firebase console, input your App Bundle ID under the Android Package Name field and click Register App. Step 9. Download your google-services.json file and click Next. Step 10. 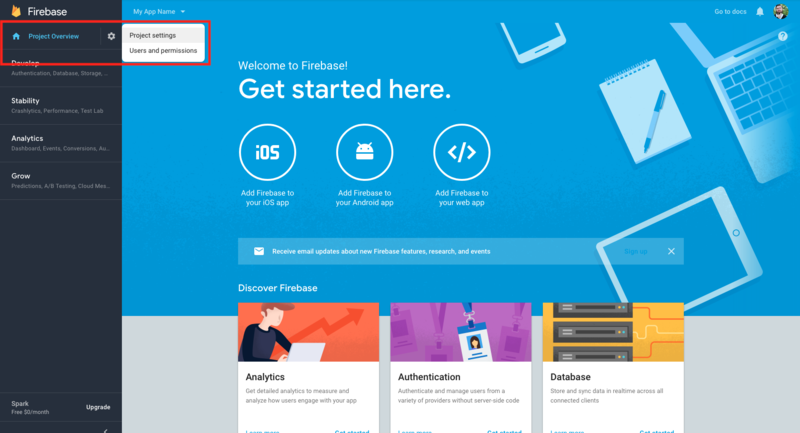 Under Add Firebase SDK click Next. Step 11. 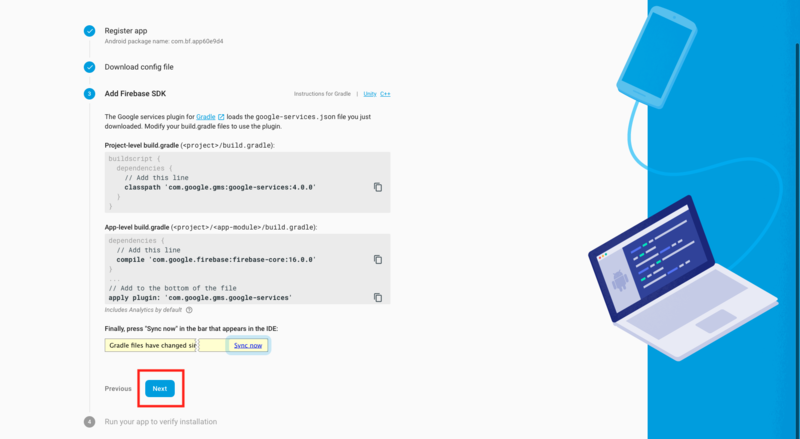 On your Control Panel, upload your google-services.json file. 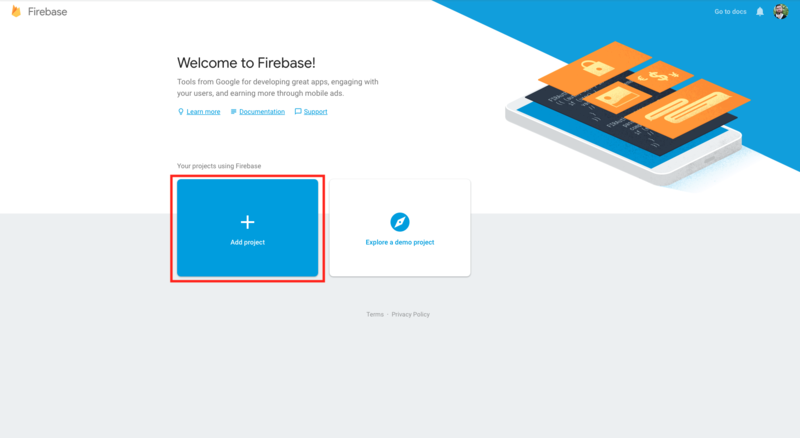 NOTE: Back on the Firebase console under Run your app to verify installation, click Skip this step to continue. 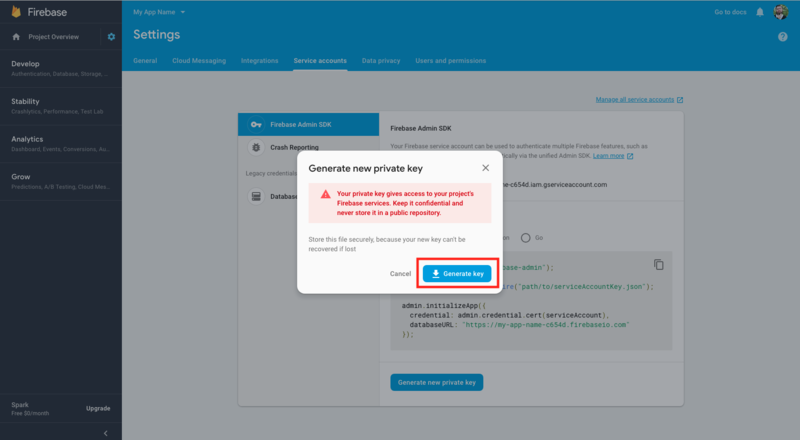 How do I create my Private Certificate/Key? Step 1. 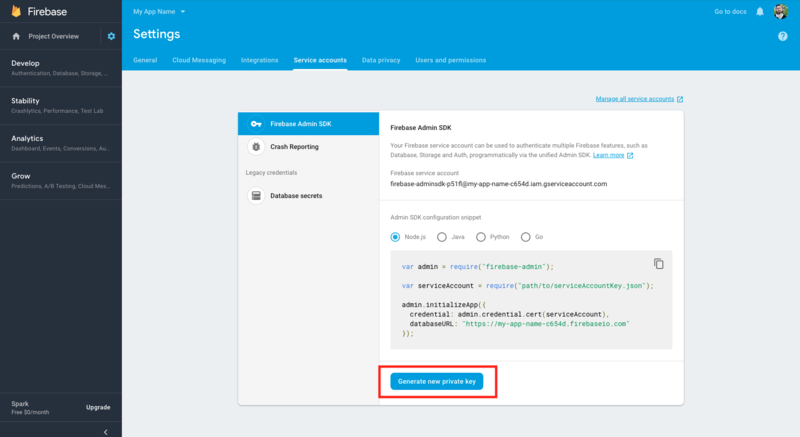 On the Firebase console under Project Settings, go to the Service Accounts tab. Step 4. 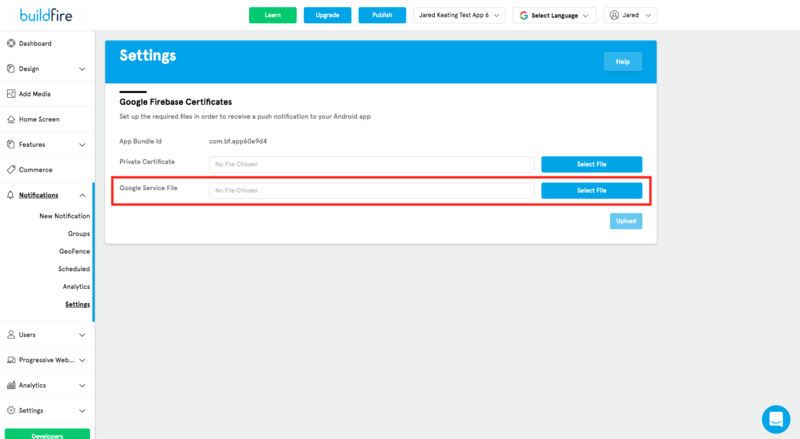 Upload your Private Certificate/Key to your app’s Control Panel. Step 5. Click the Upload button to save your files.